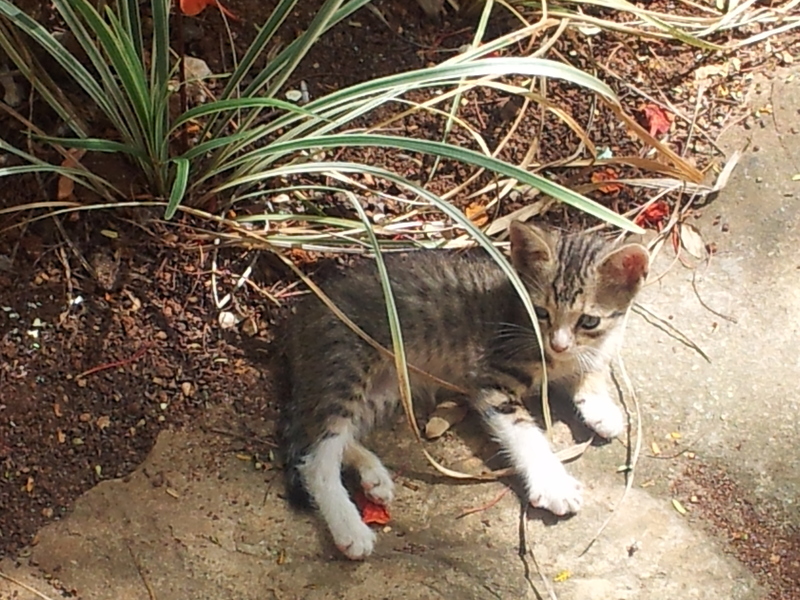 The Mysterious Stray Kitten of Havana, Cuba – Why Waste Annual Leave? Earlier this year, Pumpkin and I impulsively headed to Cuba and spent a few days taking in its colourful capital, Havana. One afternoon, we were walking through the Old Town, suffocating in the soaring temperatures, perspiring away our body weight on a heaving street when I spotted a little cutie pie hiding underneath a bush on the side of the road. I pointed her out to Pumpkin and we stepped aside to take a look. I don’t know why I thought she was a she but I just had this gut feeling. She was tiny, the kind of kitten that would comfortably fit within the breadth of your palms. The pictures don’t reflect her size well because I fell so in love with her that I zoomed in to capture her every feature. A little apprehensive at first, she purred vulnerably when she saw us but we took cautious, quiet steps, wary not to frighten her away. And then she warmed to us and stayed put, seemingly at ease in our presence. But where was her mother? I’m no zoologist but surely a kitten this young isn’t supposed to be out and about alone? We scoured the vicinity but there was no sign. My stomach started to do that somersault thing it does when I’m nervous, when I’m anxious or when it’s the morning of an exam. Was she abandoned? Was she an orphan? I hoped that her Mother was around somewhere. I couldn’t bring myself to leave her. Pumpkin by now reached the limits of his interest in the situation. You’ve got to hand it to him for consistency – he’s not a cat-man, he never has been. But seeing that I wasn’t about to leave anytime soon, he sat on a bench near the bush, seeking solace in the shady shadows cast by the trees. I watched my new love rolling around on the bush, hiding from the midday heat. Each purr made me worry for her hunger, her safety and her well being. But I also felt so helpless. If she were in England, I would know to call the RSPCA. 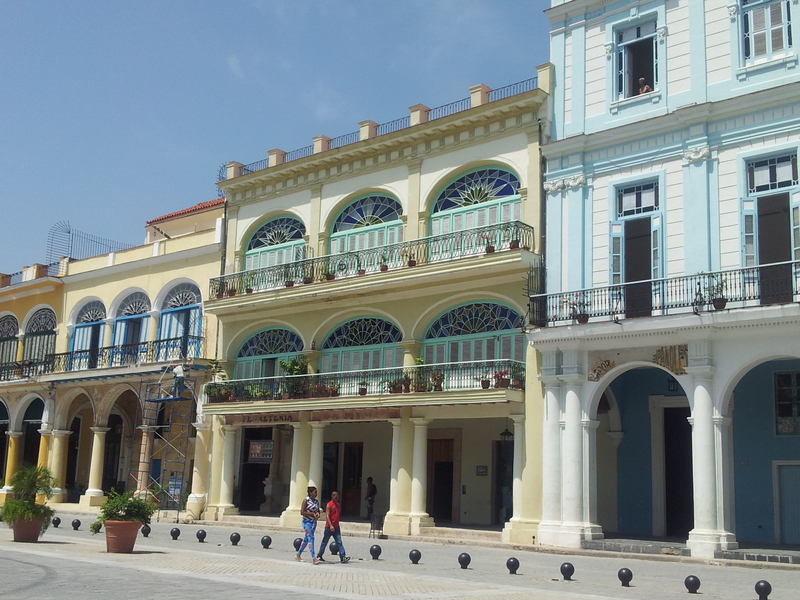 But here in Havana’s old town, I had no idea. And I didn’t know if I even had reason to worry. And so, after nearly half an hour of watching her with love, I left her with a heavy heart. Pumpkin is not known for his great detective skills when it comes to understanding the subtle nuances of female psyche but he spotted my sadness. He gave me a hug poignantly and told me she would be alright. He understood the strange protectiveness I felt for her – which was in itself strange seeing as even I couldn’t understand that. I hope she’s still wandering around Havana’s old town, plumper, more streetwise and unharmed. I’ve toyed with the idea of getting a cat but if a married couple are going to get a cat, you really do need buy-in from both parties! Have you always been a pet person or have you ever had a moment that made you think again like I did here? Part of a monthly travel blog link up with Kelly, Emma and Rebecca. Awwww! It always breaks my heart a little to see strays. There were soooo many stray kitties in Istanbul. It made me feel a little better to see that they mostly weren’t overly skinny or anything. And sometimes I saw people leaving out some cat food on doorsteps. But once in a while, I’d see one that’s just skin and bones and it makes me SO sad. And all I can do is sneak it some of my meal. I’m so glad you can relate and it does make me feel better hearing that most of the ones you saw were nice and plump – I hope “my” one is now chubby and plump too 🙂 Thanks for reading Anna! I completely get stressed about stray animals. I was in Athens last week and all those sad dogs and cats were roaming around. They were pretty friendly but so sad that no one was taking care of them. Just accidentally bring a cat home one day – if he’s anything like my husband he’ll fall head over heels for your beastie – despite ‘never liking cat’s’. What Emma said!! you just need to bring one home one day and watch him become super protective of it… He’ll eventually think he found it. Cute story!! Aw what a sweet little kit! I wrote about falling in love with a cat in my link up, and when I started writing it and talking to people, I realised how common it is to fall in love with animals abroad and even adopt them! I remember seeing lots of street cats in Havana when I went a few years ago – I wouldn’t worry, I think they’re pretty street wise there! I’m definitely not a pet person but since being on my currently trip I’ve found myself really warming to the dogs I see (it did start with a cat but I decided I’m much more a dog person) I’ve now warned the BF that when we get home i think we should get one. hehe, I’m the same Jenna about the way I’ve being slowly converted to the pet idea – the men have been warned!! 😀 Thanks so much for reading! I’ve always been a cat lover and can’t be without one to come home to at the end of the day (or when I’m back from my travels). My current cat, Bonnie, came from the same rescue centre that they have pretty much all come from but she’s a bit of a handful. She’s slowly getting better and generally remembers not to bite the hand that feeds her, at least not too hard anyway! Hope this lovely little cat is still wondering the streets of Havana, happy and healthy. Ahh, she looks like such a cutey! I really hope she’d doing well too! 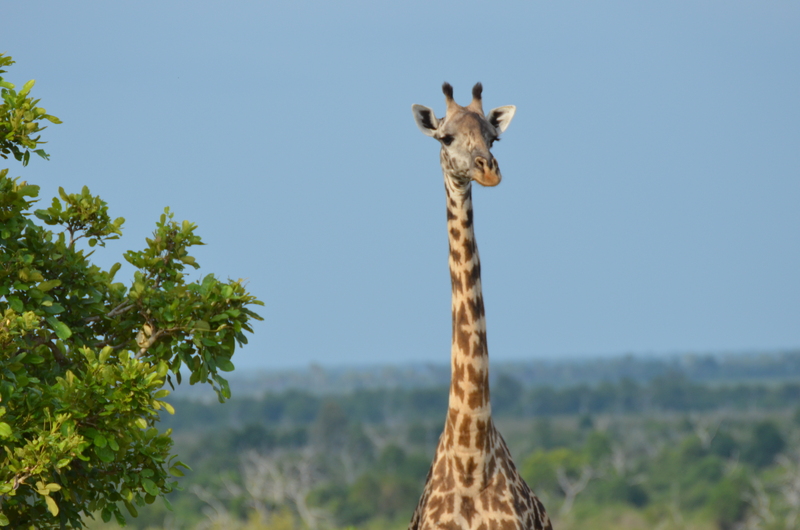 Love that giraffe pic too – I have a little bit of an obsession with giraffes! Would love it if I could have a giraffe as a pet! Haha!